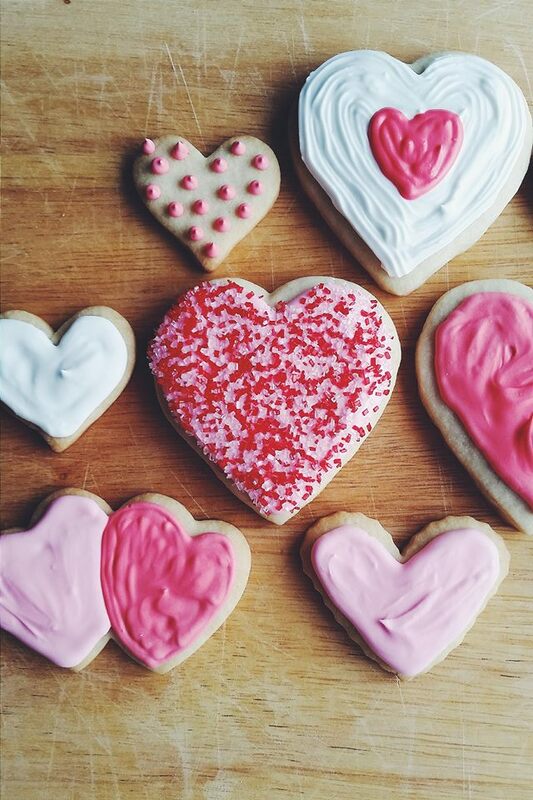 There is nothing better than finding a really good sugar cookie recipe, baking those suckers and decorating them as if you’re Martha Stewart. Okay, well not really Martha because she would do so much better… but a girl can dream okay! 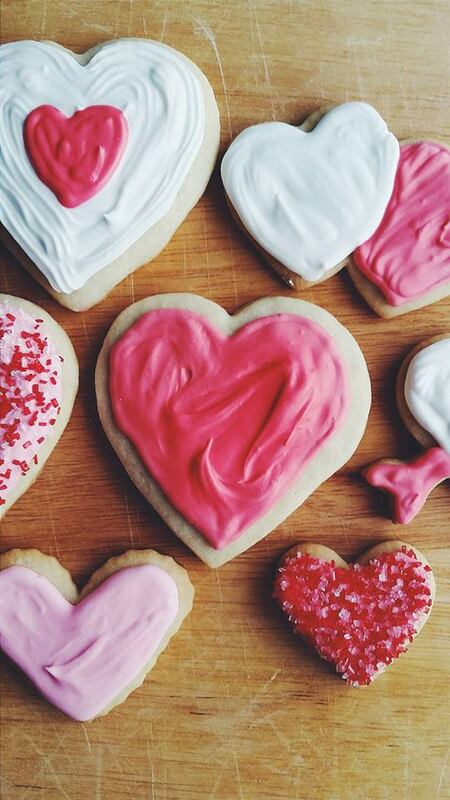 This recipe makes 3-4 dozen sugar cookies, so perfect for giving some to your bae while you still have enough for yourself ;). 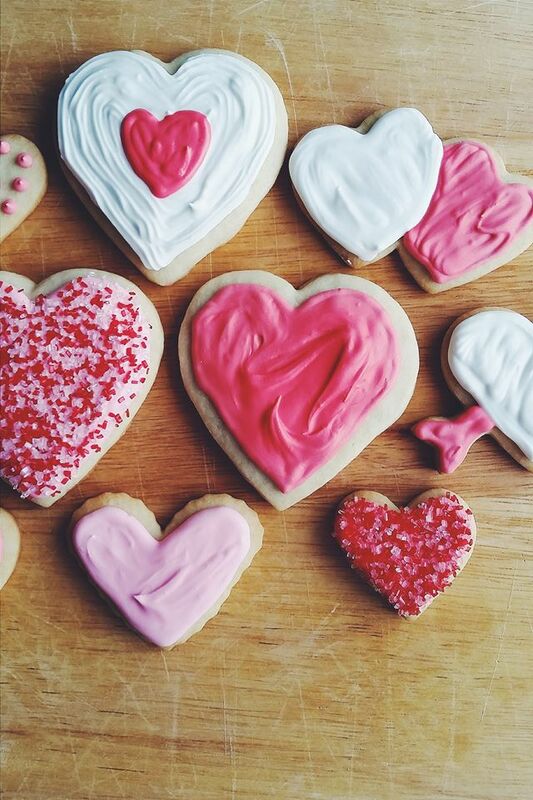 Last year, I made very similar Valentine’s Day cookies but with a different recipe. That recipe was a lot more chewier, while this year’s recipe is more cookie-like with a bit of a crunch to them. Using powdered sugar rather than granulated sugar gives it more of a harder bite to them. Both delicious, and both smell delicious while cooking. 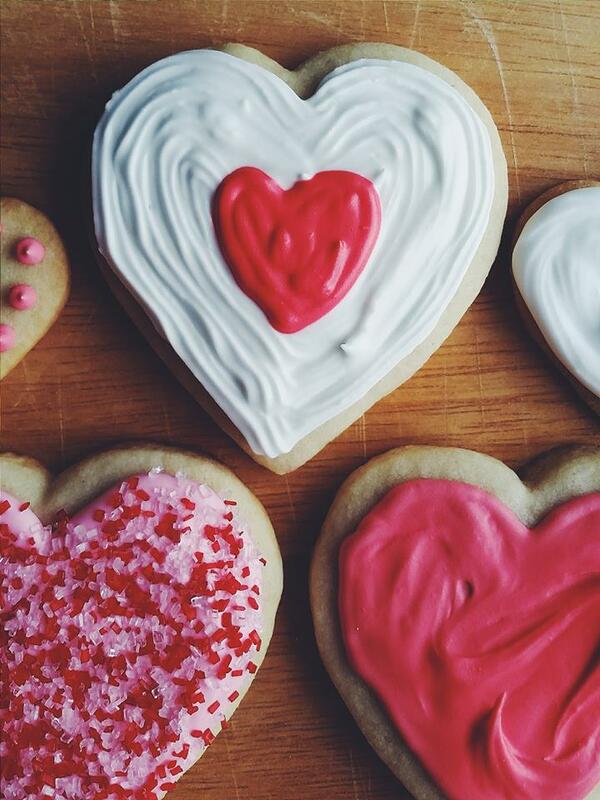 Seriously, is there anything better than the smell of a freshly baked sugar cookie? 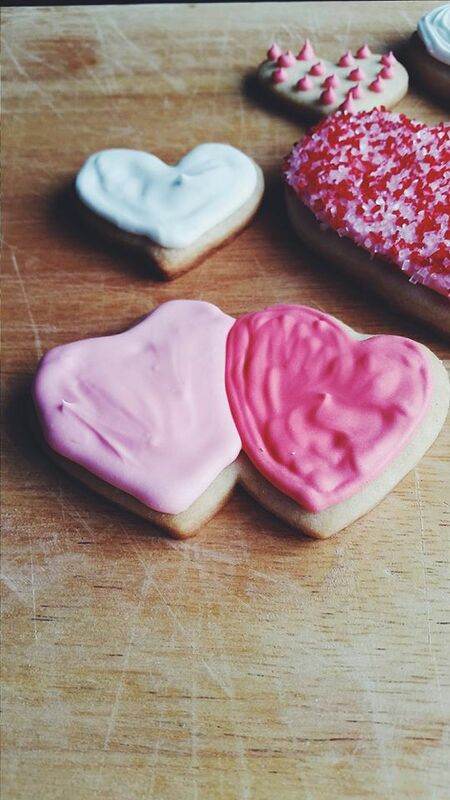 The royal icing recipe is a classic, only requiring two ingredients. Super easy. And it’s actually a Martha Stewart recipe, so I’m somewhat like her okay!!! The perfect thing about the royal icing recipe is it makes a lot, so you can split it up into however many bowls you’d like and dye them different colours. If you’re looking for a more thicker consistency, use less water. 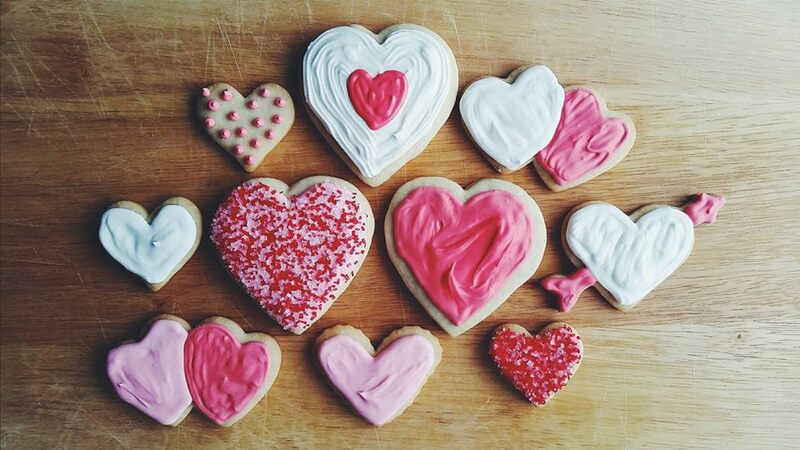 If you want your icing to bleed into one another, use more water to give it a thinner consistency. So come on, give these cookies a try! 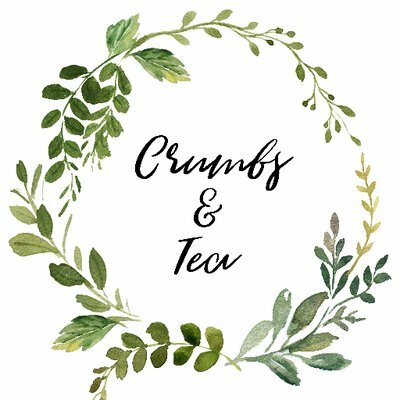 If you try them out be sure to tag me on Instagram or Twitter with the hashtag #CrumbsandTeaEats. And follow me on Instagram, Twitter and Facebook! Let’s chat! With a stand mixer fitted with a paddle attachment, cream together powdered sugar and butter until light and fluffy. Add the egg and vanilla extract and mix until combined. Sift together flour, baking soda and cream of tartar and add to sugar mixture. Mix until well combined. Divide dough into two disc shapes, wrap in plastic wrap and refrigerate for 15 minutes. 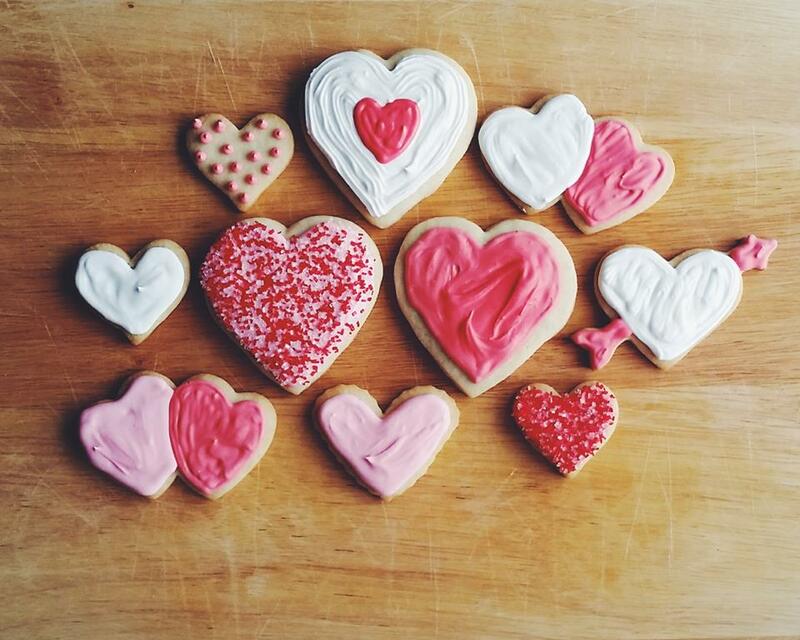 Roll out dough to ⅛ to ¼ inch thick and cut into cookie shapes. Place on lightly greased or silpat covered cookie sheet and bake for 7-8 minutes. Remove and cool on cookie sheet. Frost with royal icing. ***This dough can be made ahead and refrigerated up to 3 days. In the bowl of an electric mixer fitted with the paddle attachment, combine sugar and meringue powder (or egg whites if you are using those). Mixing on low speed, add a scant 1/2 cup water. For a thinner consistency, usually used for flooding, add more water. If a thicker consistency is desired, specifically for outlining or adding details, use less water. Recipes retrieved from Foodie Crush and Martha Stewart. Thank you very much Disha!